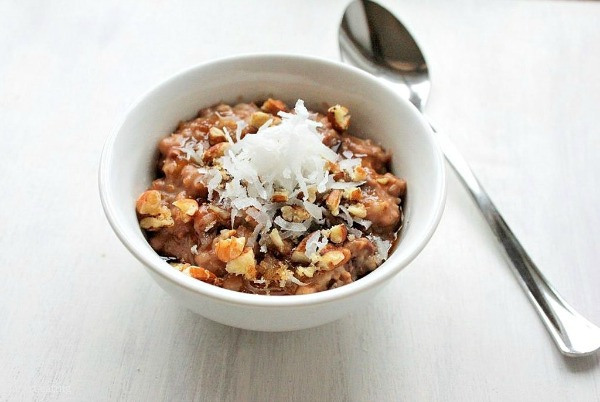 As I drink my second cup and coffee and wonder what we are going to have for breakfast, I can’t help but dream of this overnight crockpot German chocolate oatmeal. It would have been ready to eat when we woke up, it has chocolate and it looks amazing. Oh, and it has chocolate. Im sold. Head over to one of our favorites – I heart eating – to get the full recipe!